We all have read about the flood. There is the phrase that Noah found grace in the eyes of God. He was told to build an ark. The Bible is full of types and shadows and metaphor and simile. It has to be studied out as literal, figurative, poetry or spiritual. Admittedly, it appears to contradict in some places, but it is infallible, all Scripture is God breathed and inspired, even the translations. So the ark is a type of Christ. It will save by grace those who are believers and know His truth. Jesus is our protection from all storms, waves, fears and diasters. When the enemy comes in, the Holy Spirit moves in like a flood. Noah’s name actually means rest. And we have studied rest intently on this blog. If you have not read the posts do so. But I will repeat it and refresh us all. Rest is something Jesus promised to give all who are weary and heavy laden. Sometimes, I think that can be burdens, or even the heaviness of His kavod or glory, which can also translate honor, the anointing of His Spirit. Those who labor willingly for the Lord often have heavy hearts for people to be saved or healed. They may spend a lot of time in prayer and fasting or intercession. Jesus longs for us to rest on Him, like John at the Passover table, leaning into Jesus. John called himself the disciple Jesus loved, and He loved them all. But John got it, he knew it and was confident enough to write it as a description of himself. I think he also found rest even in his many terrible predicaments. Noah believed what God had said in spite of mockery and the day after day building of an ark, his family was saved while all others perished. Jesus came to give eternal life so that none would perish. But they will if they are not believers or able safely to enter thea ark that is Christ. Zaccheus was another who found rest, a sinner, a thief, hated by most. He was repentant, made restitution and found favor or grace in Jesus, the rich young ruler was depending on his ability to keep the law, and was sorrowful, when Jesus offered grace. The woman at the well, and so many others found grace, favor they did not deserve from God. They found it in Jesus. The Old Testament people, were under the law. Noah lived before that, he found grace from God in a terrible time. We know Jesus said that in the last days, it would be as in the days of Noah. 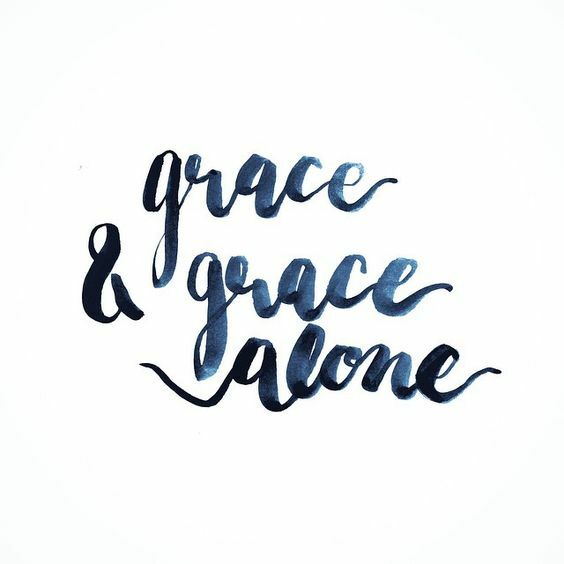 There were evil and cruel goings on then like now, but where there is sin grace abounds, there is more grace, opportunity to be saved and freed because of His great love and sacrifice. And no, even Paul says or warns not to sin more or take a pass on it because of His grace. He keeps His word but He knows our hearts. And every intention of it. If you’re just a willing sinner and not a believer, and think grace gets you a pass or ticket to heaven with a wink, you will find hell even hotter for abusing a holy sacrifice. He desires that all men will be saved. Will they? No. Only those who know Him, personally, intimately, deeply. Those are they who can rest in His love. That is something the world will not understand. Noah, rest found grace. The Isrealites wandered and never found rest or grace. God was angry, and wanted to withhold grace. But He sent grace and truth in with Jesus, He fulfilled the law, and gave us the commandment to love. Hebrews 4 goes into great detail about rest. We have to enter it to have grace and peace, His peace from John 14:27. We are in the last days and many more than eight, which is the number of new beginnings, will enter the ark that is Jesus. Let’s not perish in a flood. Let’s not be tossed on waves of doubt, aliens and conspiracy theories, new age or occult. Come and rest in the ark of the one who loved you and gave His life for you, Jesus. Previous postWhere Are The OTHER NINE?